WordPress it’s one of the most powerful Content Management Systems (CMS) ever. And the most important part about it? It’s so easy to use! I remember how a few years ago WordPress was just a CMS for blogs. Not too many things to do with it. Indeed, was the beginning of blogging. When you were saying to someone “I have a blog” it was like one of your biggest achievements ever. “Wow”, was the first reaction. You were an important person, and also a pioneer. Now everyone can have a blog. But WordPress evolved so much that is now the easiest solution to create your own website. And not just a blog, but anything else, from a social network to an online shop or a brochure site for your business. It’s that easy to have your business online now. WordPress its’ easy to use! And I guess that’s the magic word about WordPress – “easy”. I was reading on some forums, especially on boards.ie, how many people would like to build their own website, and asking for suggestions. I think 80% of the recommendations were for WordPress. The other ones were for different website builders available on the internet. And in quite a few posts people were saying that you can configure your own website in just a few minutes. 5 minutes to build your own website, to be more precise. To be honest, I don’t think that someone who never created a website before in his life will manage to create a website in just 5 minutes. Not even with WordPress. But if you create your site in a day, a week or two is still great. I remember how things were a few years ago, when I was working for a marketing agency. The first step was to meet the client, to understand what they want. Then, after a week or two, we were presenting our proposal. After another week, if we were getting the green light for the project, we were preparing all the stuff for the website. Then, the development phase, usually around a month. And another two weeks for amendments, because usually the client was changing his mind about different stuff he wanted on the website – from design to content or different features. The last step was the testing phase. Usually around two weeks. And when the website was ready, we were having a reception, and launching the website was a big event. The costs? Hmm… a few thousands, sometimes around 10k – A lot of money. But now, thanks to WordPress, you can spend just a few bucks to have your website. Or even for free. Until now I’ve only mentioned the most important advantage of WordPress – the fact that it’s so easy to use. But there’s also another important factor: It’s SEO friendly. Yes, Search Engine Optimisation it’s a big deal these days. I met someone who was getting all his traffic from his business card. What???!!! Having a website that it’s not search engine optimised it’s like not having a website at all. You need to spread flyers for people to know that they can get to you online. And what’s the point? I mean, if I give you a flyer or a business card you can just call me, you don’t need to see my offer on web as well. The idea of having a website is to reach more people. And having a website that is not in Google is like not having a website at all. And here is where WordPress it’s a miracle again. Just to give you an example: Matt Cutts, the head of webspam at Google – the guy who’s all into SEO could easily use Google’s platform, which is blogger.com. But no, he’s not using a Google product but… WordPress. I guess that says a lot. Another big advantage of WordPress is that is regularly updated to fix any security issues. And I guess another important thing about it is that so many people are using it. I mean it’s a huge community. And there is always someone out there to help you if you have a problem, if something is not working properly, or if you don’t understand something. Add-ons are also important. With WordPress it’s quite easy to create any type of website using the free and paid plugins available online. As I mentioned before, you can have a store in minutes (or hours), but you can also have a booking system for your hotel or restaurant. There are a lot of things why I love WordPress. I am just curious how things are going to evolve. 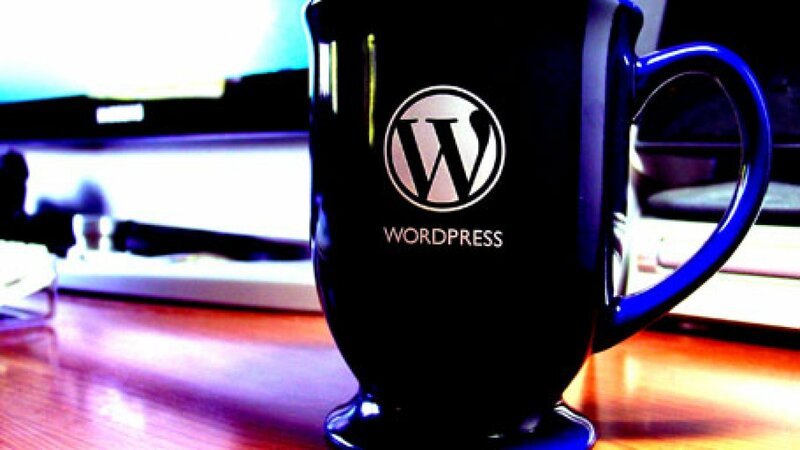 Will WordPress be the best solution in a couple of years from now on? And if the answer is yes, then how it’s going to evolve?